Last week saw the 10th anniversary of the EU Long Distance Fleet Advisory Council (LDAC), an EU stakeholder body formed by representatives of the fishing industry, seafood processing and marketing sectors, trade unions and NGOs, whose mission is to advise the European Institutions and member states on policy related to distant water fishing. It currently has more than 50 members from 12 EU coastal member states. On the same day, the LDAC’s General Assembly added its support for a crucial measure in the fight against illegal fishing worldwide. 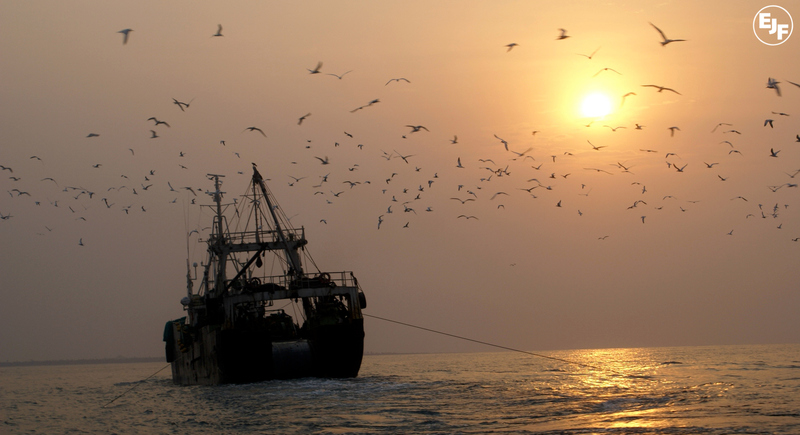 The General Assembly unanimously approved an advice recommending the introduction of a requirement for non-EU vessels catching seafood for export to the EU market to carry an IMO number. Vessels of 24 metres in length (or 100 GT) and above, fishing exclusively within the waters of the flag State. EJF and its partners* welcome this advice, and join the LDAC in this ask. IMO numbers have been mandatory for EU fishing vessels with the above specifications since January 2016, facilitating the tracking of fishing activities throughout their lifespan. We believe that this additional measure will contribute significantly to assisting the EU in verifying the legality of seafood imports and in creating a level playing field for all operators, no matter which flag their vessels fly. You can read the LDAC advice here, and our position paper and recent post on IUUWatch here. * EJF is working in a coalition of non-governmental organisations to secure the harmonised and effective implementation of the European Union’s Regulation to prevent, deter and eliminate illegal, unreported and unregulated (IUU) fishing.